Welcome to the monthly sewing ‘blog’ with Bridget! 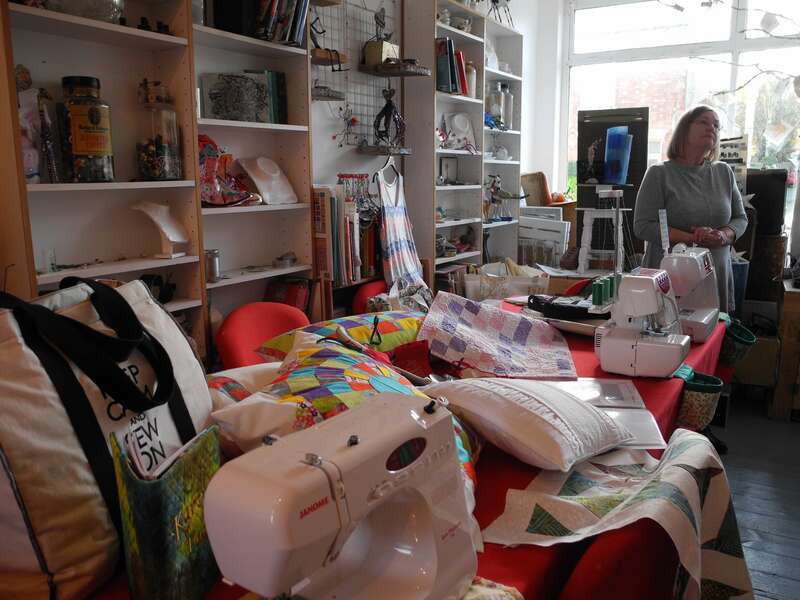 Bridget Goodhead is our sewing tutor here at The Making House. Bridget is a retired teacher. For many years she taught Design Technology and for 15 years, also taught nightschool, where the ladies did a variety of needlecrafts from dressmaking to machine knitting, embroidery and macrame, to name a few! Here’s what she’s been up to! 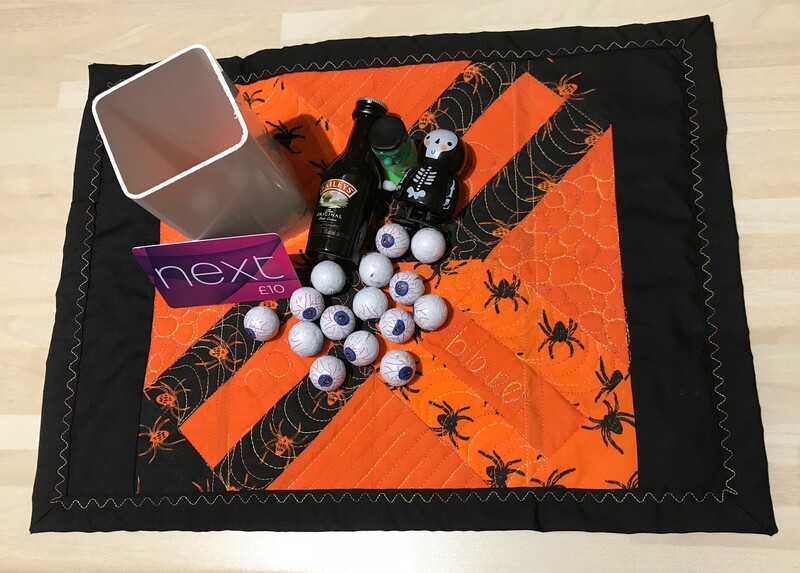 I flit from project to project in this wonderful hobby and a few weeks ago, decided to adapt my ‘Crackers at Christmas’ Place Mat project for a friend who was celebrating a special birthday on Halloween! I sourced some suitably spooky fabric and proceeded to make a ‘Sew Red Kisses’ block from Me and My Sister Designs. I then totally indulged myself free machine quilting my ‘quilt sandwich’! As it was a special birthday, I needed a slightly larger tube to hold the presents and settled on some square plastic pipe a friend cut to size from his leftovers on his extension (thanks Alexander!). The birthday girl was thrilled with the Cracker and I was pretty chuffed too. The Crackers at Christmas workshop is on December 2nd and is designed to suit all abilities. These useful mats aren’t just for Christmas though, and can be made for weddings, christenings, birthdays, retirements etc. etc. …………………….. Hope you like the Halloween one! Enhance your festive table with this fun day course aimed at all abilities – beginner to advanced sewists, and basic to posh sewing machines! We will be making cracker place mats using patchwork/quilting techniques and finishes, with Bridget (course tutor) demonstrating the ‘bits’ you fancy doing for your individual crackers.